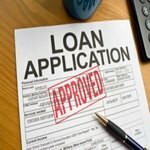 When a borrower approaches the refinancing or loan application process, there is a required set of documents and disclosure statements which are necessary to activate the negotiation process with the lender or broker. This initial ‘package’ will include the Truth in Lending disclosure, the Good-Faith Estimate, and Credit Report disclosure. These permit the lender to acquire the background information about the borrower, such as employment records, credit history, banking activity, income and asset verification, and so on. Once these documents have been signed or provided, the loan process can move toward qualification and subsequent loan approval. All of this paperwork can look overwhelming, but all of it is necessary for the mortgage loan approval process. Before meeting with a lender, be sure to make a checklist of the documents you need and include these in one folder to keep everything organized. If you have what you need at the beginning of the loan process, there will be less delay and stress! Be sure to also prepare a list of the top questions for lenders.